Does anyone else get excited after a haul and want to wear at least one polish right away!! Because I do it all the time, especially after the mini haul I had at Target last week. After much debate I chose to wear Lady Luck, which surprised me. Usually I don't wear this shade of magenta/pink but something about it made me need it and really want to wear it so I have it a go. 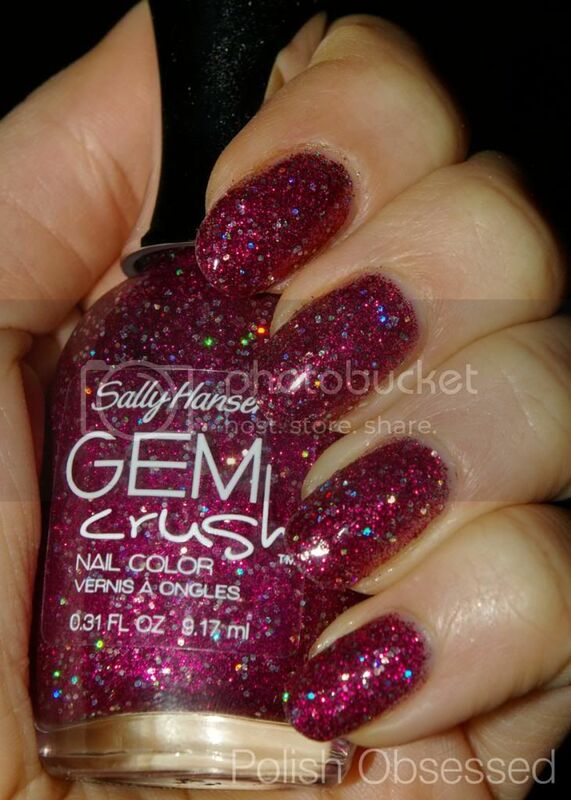 Lady Luck is a hot magenta glitter made up of micro glitter and medium holo hex glitter sprinkled throughout. I applied two medium to thick coats and was happy with opacity. When I first swatched this polish I noticed it dried to a gritty matte finish, and I wanted this to be super glossy! After the glitter dried a bit, which wasn't long at all, I applied a generous coat of Gelious to each nail. After a few minutes of dry time I preceded to add a thin coat of Seche Vite on top to ensure the finish was super glossy and dried quickly. This polish is pretty, but something about it was off to me. Maybe it's the shape if my nails. Maybe I should have layered a similar polish as a base underneath. Maybe I just don't wear this polish often lol. This is gorgeous!! I think it looks great on you! Good luck! I think my fave is Glitz Gal, the silvery one, so awesome!